Welcome MESPA colleagues to the new Tampa Bay Medical Speech Pathology Association (MESPA) blog! The MESPA blog is a place for sharing of information presented during our MESPA quarterly meetings, as well as information relevant to the field of medical speech pathology. MESPA began in 2000 as a monthly speech pathology group where fellow speech pathologists came together to meet for continuing education. 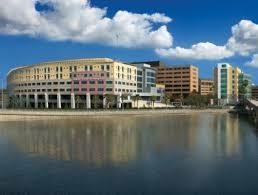 The group met at various hospitals and healthcare facilities across the Tampa Bay area. In 2010, the group disbanded, but was resurrected in January of 2014. At the present time, MESPA meets at Tampa General Hospital in Tampa, Florida on a quarterly basis in January, April, July and October on the second Sunday evening of the month from 6:00-8:00pm. Participation in MESPA is free of charge (as Tampa General Hospital is a CEU provider), and 2 hours of CEU’s are earned each evening. MESPA is open to speech pathologists, speech pathology assistants, graduate and undergraduate students in the field of speech pathology, and any healthcare professional who is interested in the topic of the evening. If you wish to be added to the MESPA email list, please send an email to: “MESPA2013@gmail.com,” and you will receive information of upcoming MESPA meetings.